For February, The Avenue celebrates Chinese New Year with an Asian theme. Spyralle’s exclusive is an elaborate ornament for your hair, fashioned from gold, enamel, pearl and rosewood. 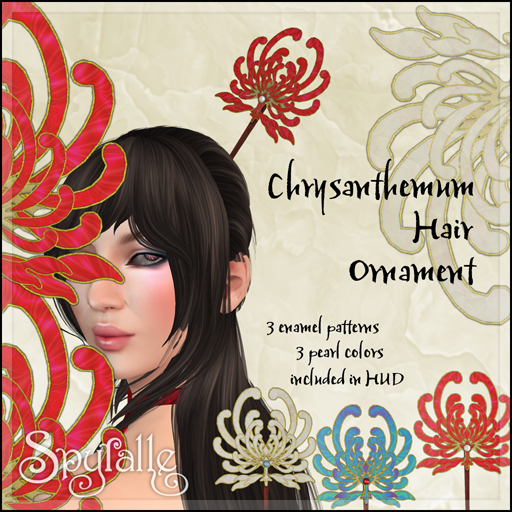 The stylized chrysanthemum flowers can be changed to any of three patterns with HUD, which also gives you a choice of pearl colors. This accessory is unrigged and copyable, so you can move it to suit your hairstyle and even wear several at a time. One hundred percent original mesh and textures, only at The Avenue in February. By request the dress, Vivian in Red, is also out at The Avenue. 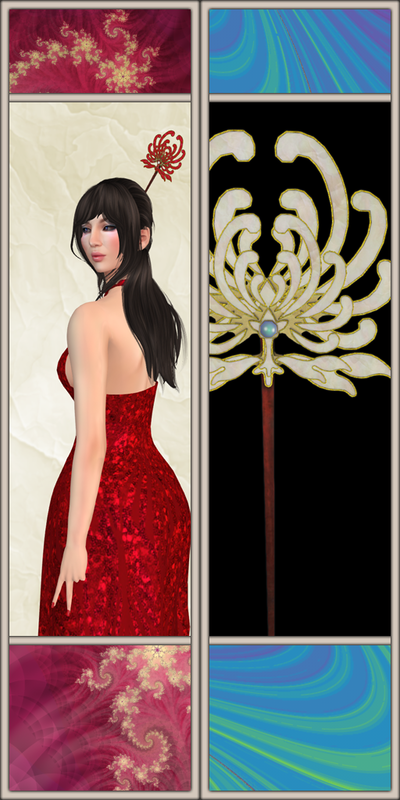 This entry was posted in Events, New Release and tagged Jewelry, mesh, Spyralle. Bookmark the permalink.